The listing below illustrates the broad depth and experience of LAEDC’s Institute for Applied Economics, and presents just a sampling of the services provided. Looking for a specific report? Search the Report Database here. LAEDC has published its annual Economic Forecast report, which covers the US, California, Los Angeles County and the other counties of Southern California. The report provides analysis and an outlook for 2019-2020. More information and presentations from the event are located HERE. 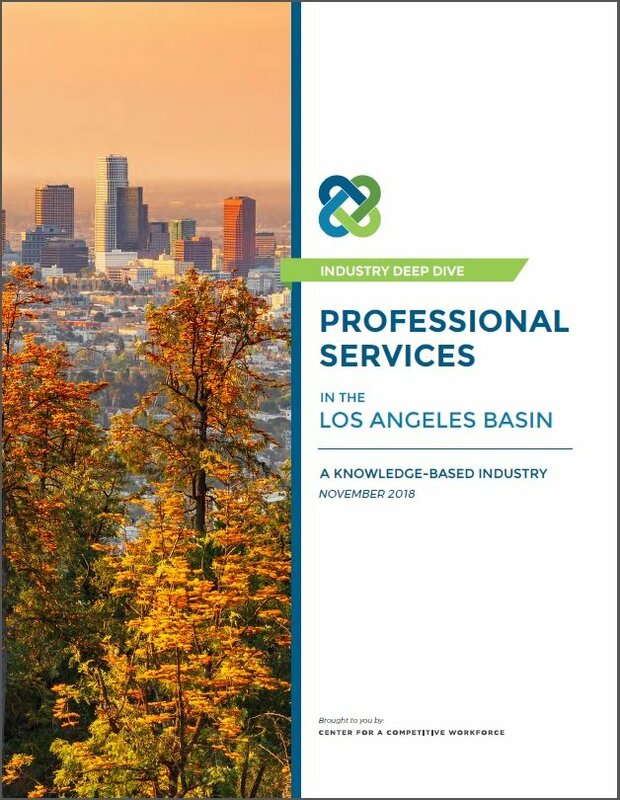 In a continuing series of industry deep-dive reports, the Center for a Competitive Workforce, which LAEDC co-founded, has released Professional Services Industry in the Los Angeles Basin, which forecasts job opportunities, analyzes changing skills requirements, and illuminates career education pathways for the for the professional and business services industries in the greater LA Basin. The report, accompanied by a 8-page overview, was funded by the Strong Workforce Program, an initiative of the California Community Colleges Chancellor’s Office. More details and highlights HERE. 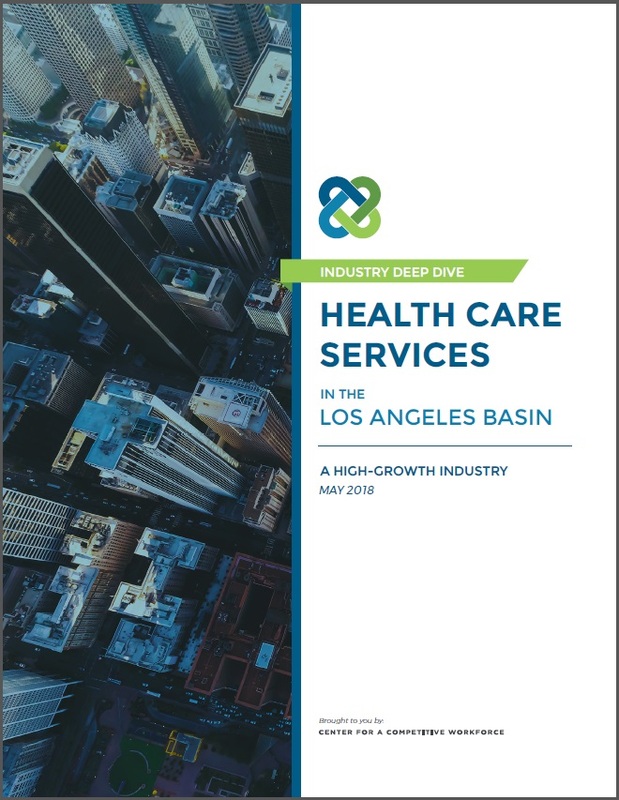 In a continuing series of industry deep-dive reports, the Center for a Competitive Workforce, which LAEDC co-founded, has released Health Care Services in the Los Angeles Basin, which forecasts job opportunities, analyzes changing skills requirements, and illuminates career education pathways for the local-serving health care industry in the greater LA Basin. The report, accompanied by a 12-page overview, was funded by the Strong Workforce Program, an initiative of the California Community Colleges Chancellor’s Office. More details and highlights HERE. 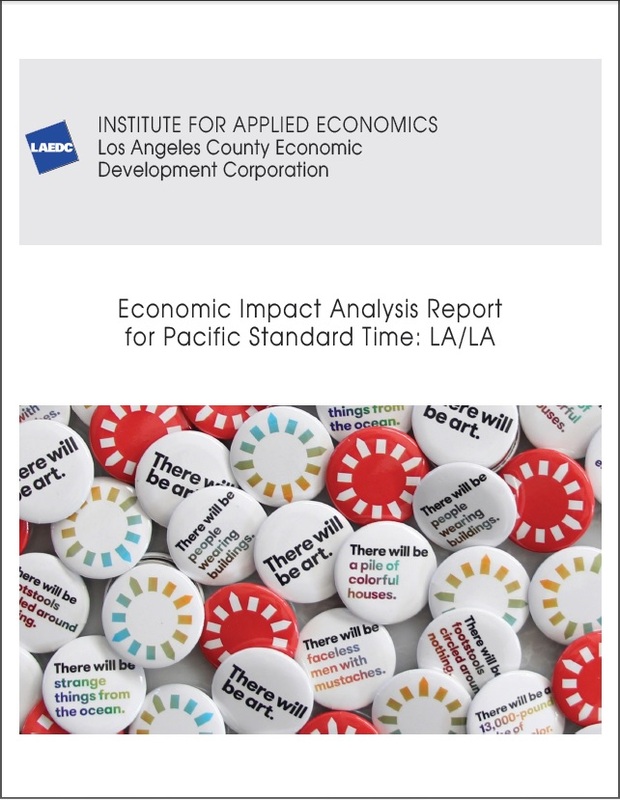 LAEDC’s Institute for Applied Economics has found that the Pacific Standard Time LA/LA exhibit series not only brought the rich art of Latin Americans to 2.8 million visitors at 70 cultural institutions around Southern California, it also created over 4,000 jobs, added $430 million in economic output the the regional economy, and supported labor income (wages) of nearly $188 million. The PST LA/LA initiative took place from September 2017 to January 2018 and was supported by Bank of America and organized by the Getty in collaboration with other major local planning partners (including Chicano Studies Research Center at UCLA, LACMA, The Hammer, and MOCA). LA/LA was an extraordinary series of experiences for local and international audiences, exploring visual arts, film, dance, music, performance art and more. The initiative engaged hundreds of curators including scholars, artists and critics to highlight a tremendous wealth of all kinds of Latino and Latin American Art. This was the second “coming” of Pacific Standard Time, and LA/LA exceeded the audience reach and economic impact of the original PST exhibit series substantially. 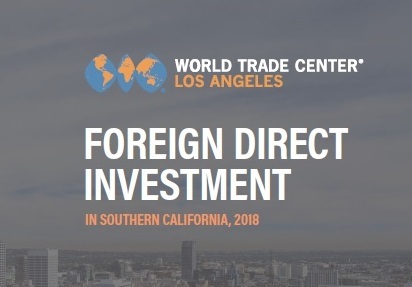 LAEDC’s role was to study the economic impact of the initiative to better understand how this collaboration improves opportunity and prosperity for the region. 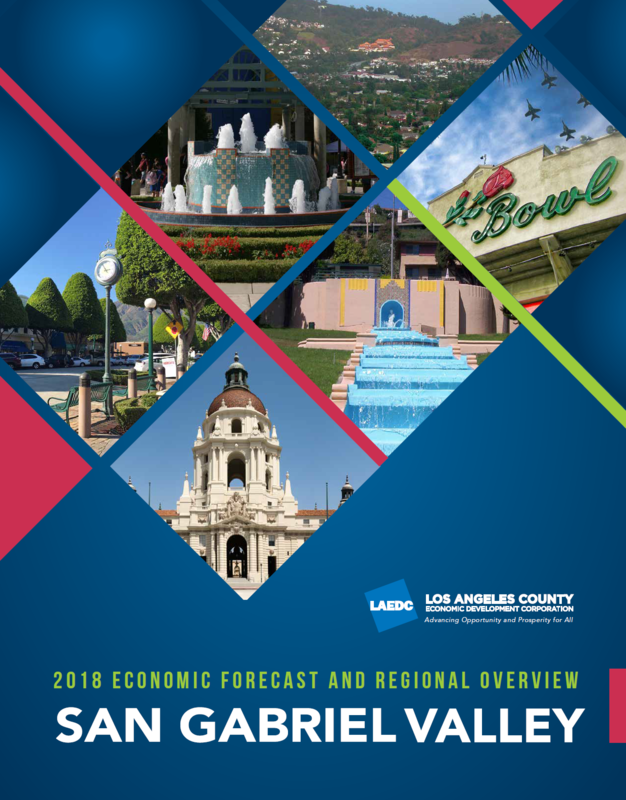 LAEDC’s Institute for Applied Economics produced an Economic Forecast for the San Gabriel Valley, a thriving region that lies east of the City of Los Angeles and covers about 200 square miles. The forecast covers the years 2018-2019. 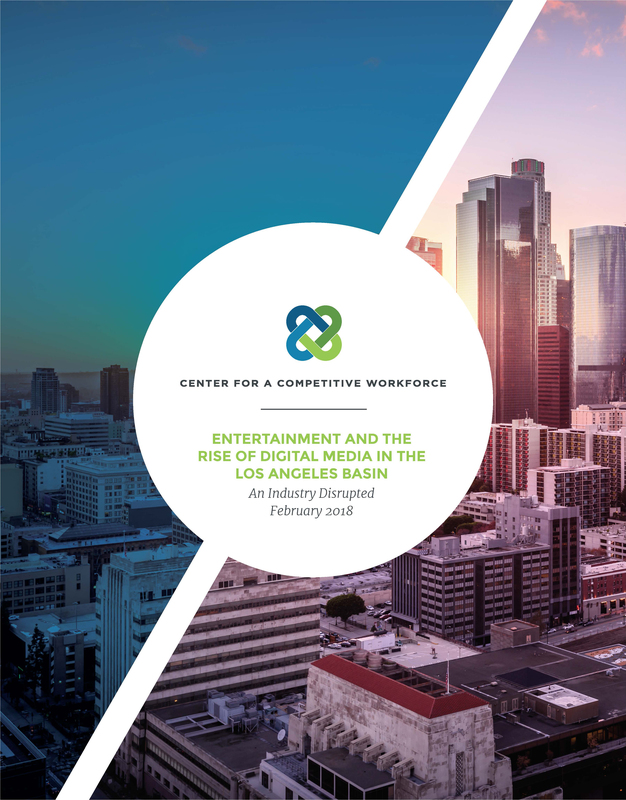 The Center for a Competitive Workforce (CCW), of which LAEDC is a partner, has published a report analyzing the Entertainment & Digital Media Industry in the Los Angeles Basin. The report is the first to define the rapidly growing “Digital Media” industry and its occupations in Los Angeles, and it analyzes the overlap with the traditional Entertainment industry, and the describes the changing skills needs of both industries. The report takes a deep-dive into occupations in the industry, with occupational forecasts, analysis of the skills needed, and workforce training available through the region’s community college system. Read the original press release and highlights HERE. 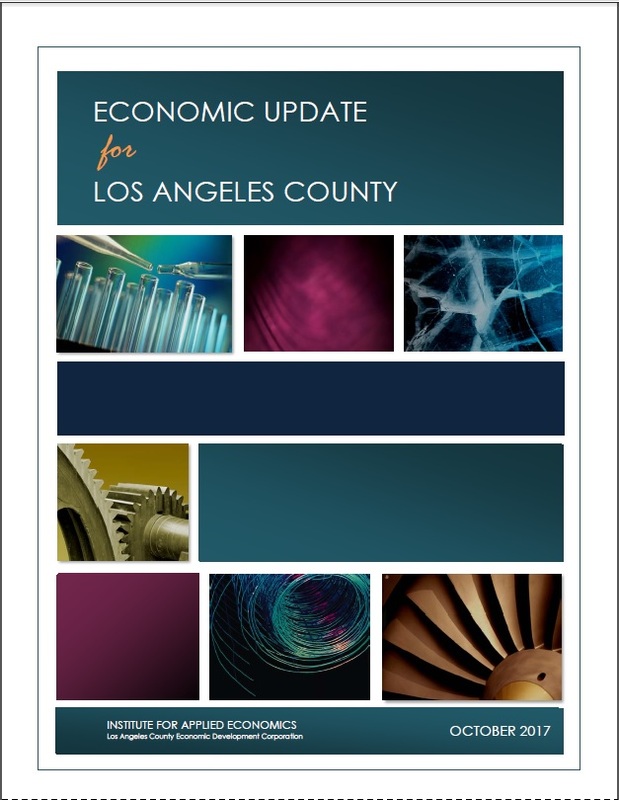 As part of the SCAG Annual Economic Summit, LAEDC has prepared an economic update for LA County, with information about industries, jobs, educational attainment, real wages and more. Thanks to Southern California Association of Governments for sponsoring this research, and we hope you will explore the topics raised at the Summit, which is focused on The Cost of Not Housing. 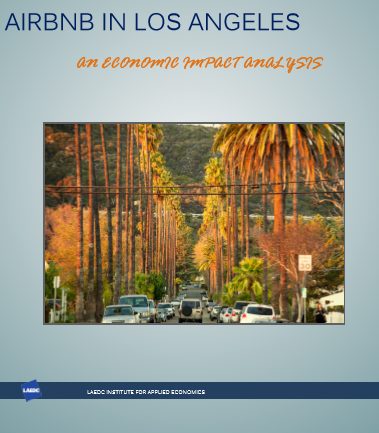 This economic impact report, commissioned by Airbnb, concludes the Airbnb community in Los Angeles is generating hundreds of millions of dollars in economic activity. Specifically, this analysis found that Airbnb generates $900 million in economic activity, supports more than 7,400 jobs, and is expected to generate nearly $40 million in transient occupancy taxes on an annual basis in Los Angeles. 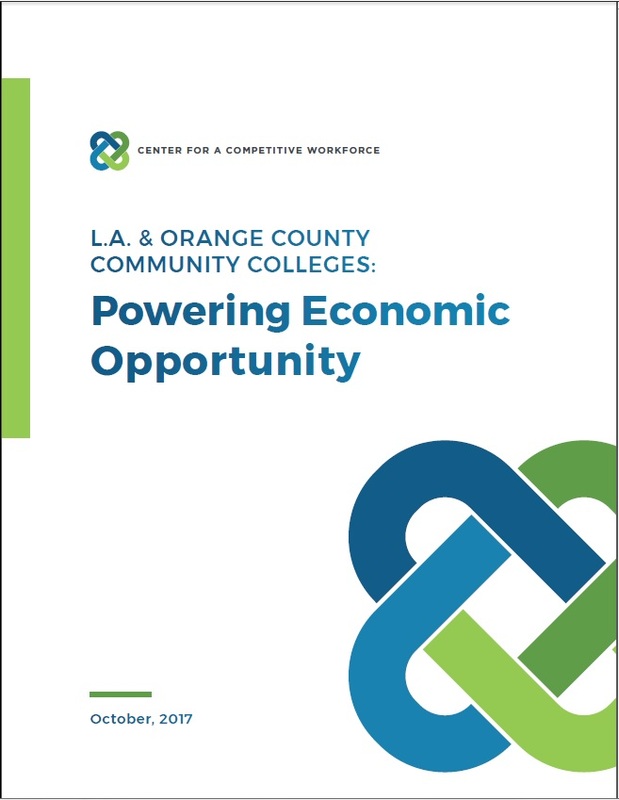 The Center for a Competitive Workforce, which was launched as a partnership of the LA|OC Regional Consortium of 19 community colleges, LAEDC, Los Angeles Area Chamber of Commerce, Southern California Leadership Council, and the Center of Excellence for Labor Market Research at Mt San Antonio College, released its inaugural report examining the demand for, and supply of, talent. This ground-breaking report focuses on the region’s community college supply of talent in order to better align skilled graduates with projected hiring by local employers. Read the full press release for additional analysis. 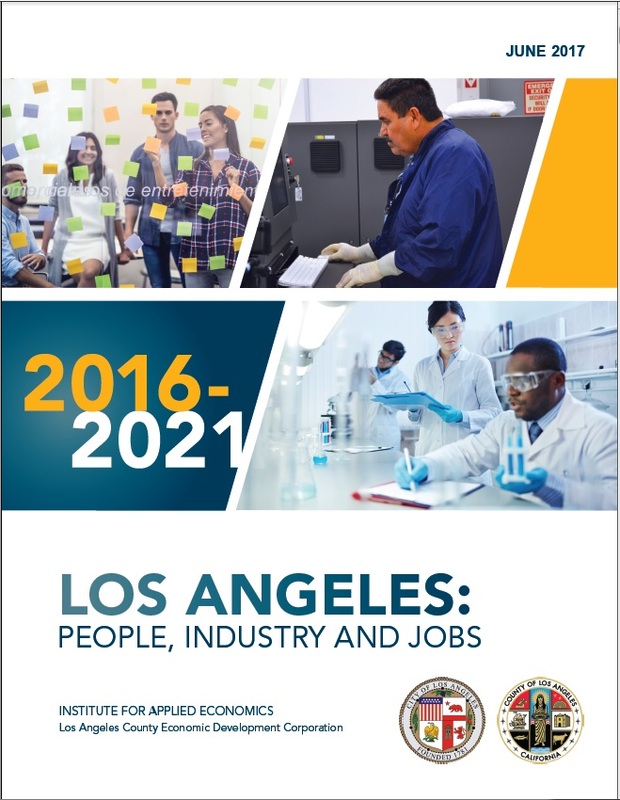 The People, Industries and Jobs Report provides in-depth analysis of key industries and occupations for the Los Angeles region, including occupational forecasts.